My favourite piece of all. 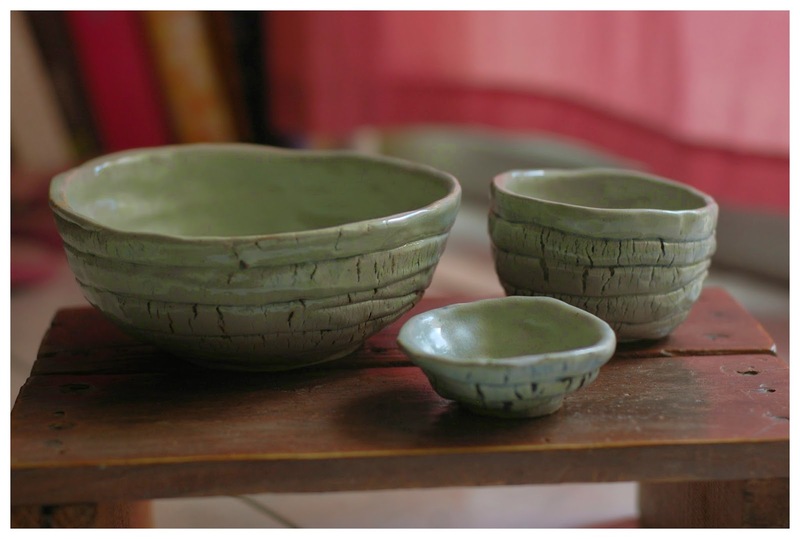 A ramen bowl, a cup and a sauce dish in a set. I still have no idea what to do with this. 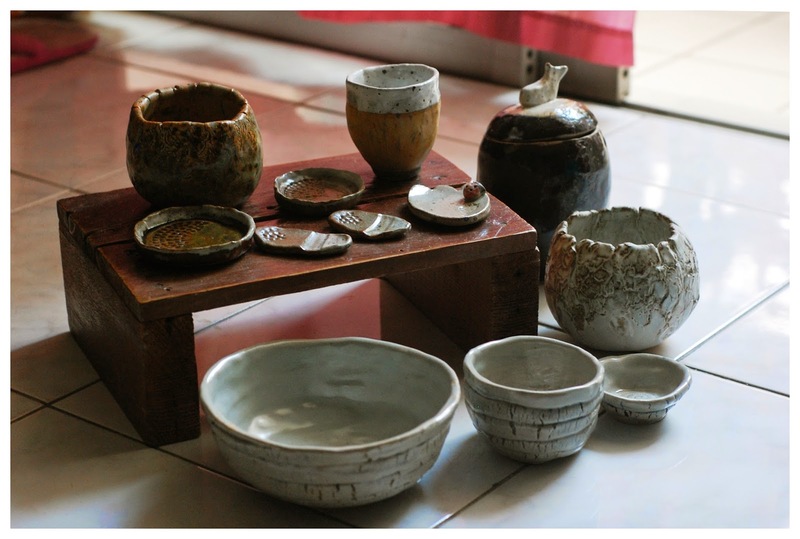 After 5-6 lessons in pottery class, I made these.